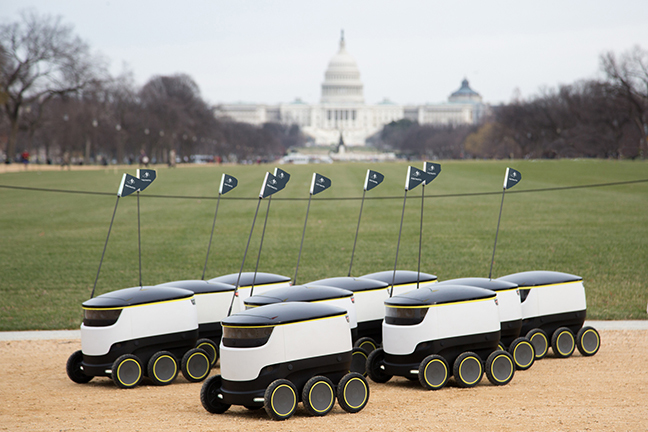 As seen in Fast Company, Starship Technologies has deployed their fleet of 25 delivery robots on the George Mason University campus in Fairfax, Virginia. These robots are able to make late night coffee and food runs or simply deliver lunch on a busy day. Through an app based program using the student’s meal plans, students are able to order from on campus retailers and expect delivery within 15 minutes. College students were sought as the experimental demographic. CEO of Starship Technologies Lex Bayer stated, “I think students are really comfortable with technology and are embracing the changing world.” The robots are equipped with 10 cameras, ultrasound, radar, and using artificial intelligence can autonomously navigate the sidewalks staying clear of pedestrians, bikers, and cars.